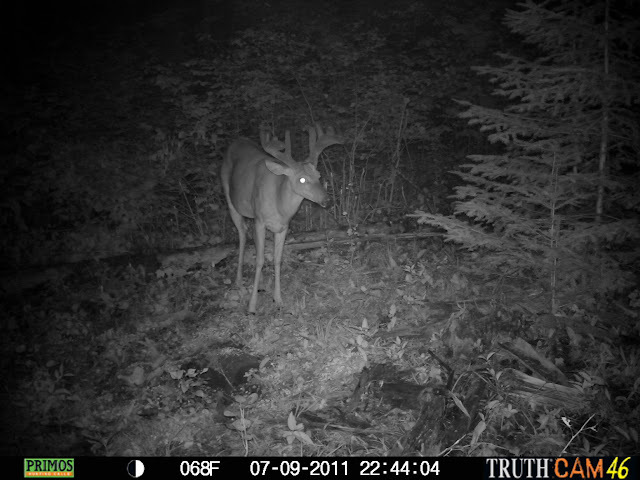 The buck shows up early and again midway through. The fawn twins are near the end with mama in tow. He's a rather nice buck for my area, quite happy to have him show up at that location. 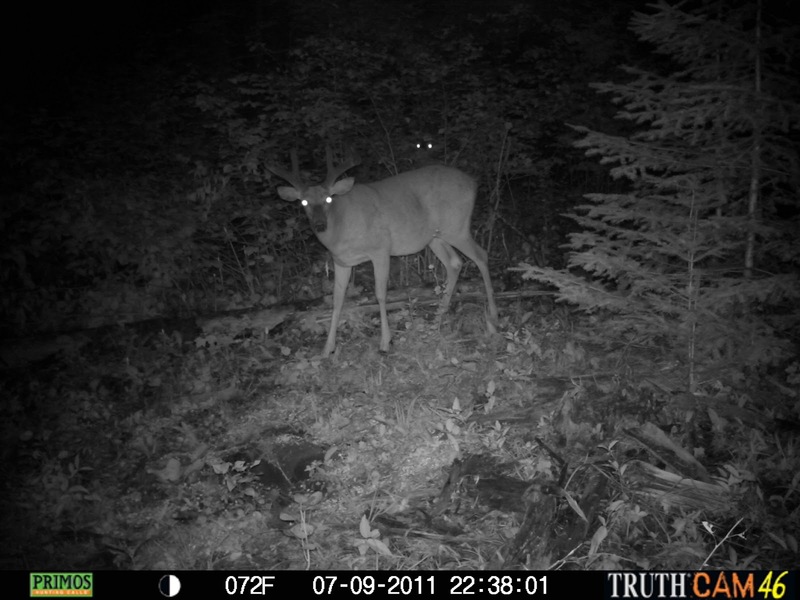 It's about 400 yards behind the house. 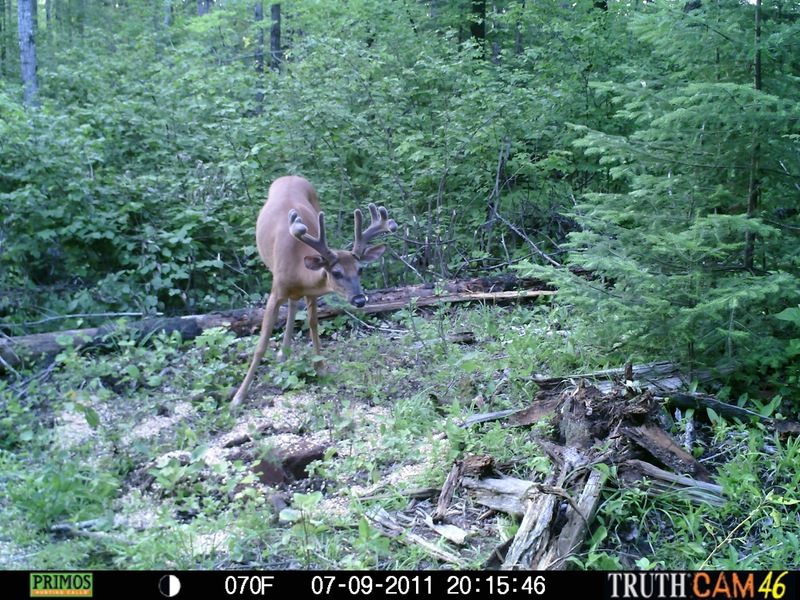 Video really doesn't do him justice, here are some stills, looks like he's gonna be a 10 pointer.